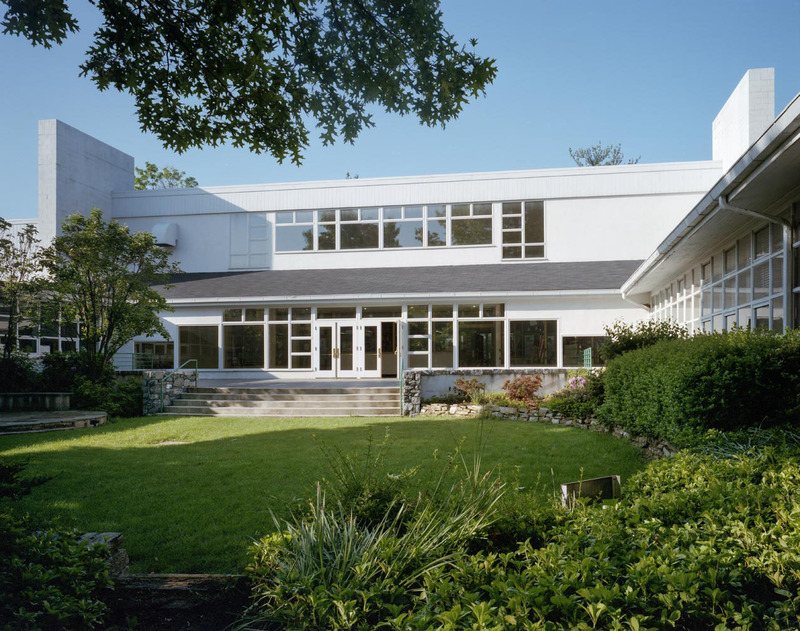 "First and foremost, Hammel Associates are extremely creative architects who come up with new and different ways of doing things. They do not seem to be confined by quick and obvious solutions … They have a genuine understanding of the need to design attractive, functional space at a reasonable cost." We designed a new library wing to connect the Upper School and Lower School buildings and provide easy back-and-forth passageways for students and staff, away from the noisy main entrance, cafeteria, and theatre areas. In the new wing we were able to greatly expand the space for computer workstations to better meet student needs and used the lobby area between the two corridors for the circulation desk, librarian workstations, and checkout. By creating the new library wing we also made it possible for the school cafeteria to be enlarged, which met another expansion need. By creating this new connecting wing, the two formerly separate buildings now have one continuous façade that looks as if it was part of the original plan. 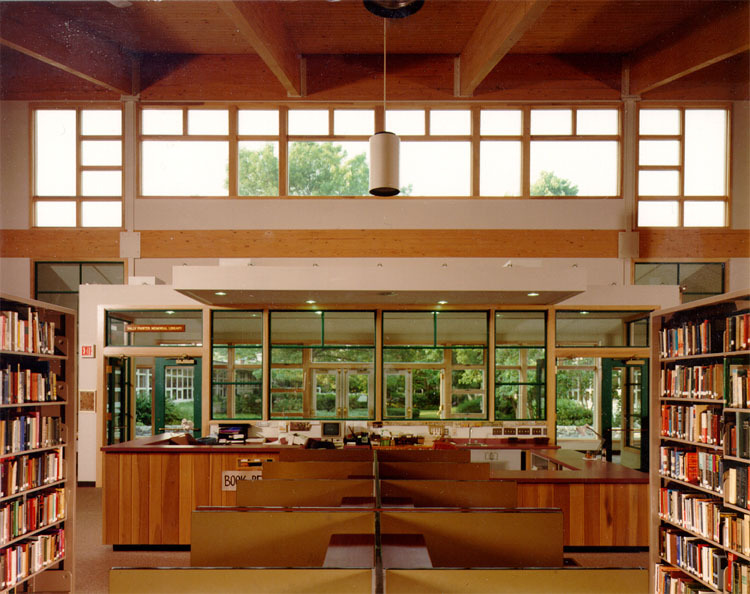 Large walls of north-facing glass, including the glass-walled entry, fill the new library with natural light. Windows were done in sizes proportional to the older main buildings to assure a consistent physical appearance. Furnishings near the windows are kept low so as not to obstruct the view. The sloped ceiling in warm wood tones includes fans and pendant lighting that help maintain a comfortable atmosphere and add to the spaciousness of the main room. The circulation desk is centered at the entrance for easy access from both sides of the library. 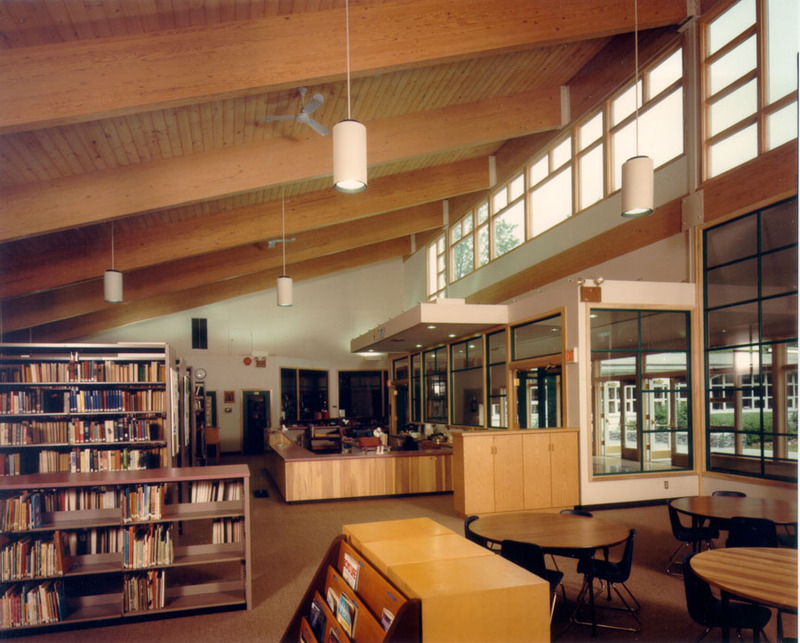 A variety of lighting including natural light, pendant lights, and recessed lighting illuminates the circulation desk with a subtle continuous luminesence that is both cozy and uniform, providing the ideal working environment for the librarians. The connection to the outdoors adds natural color to the room. 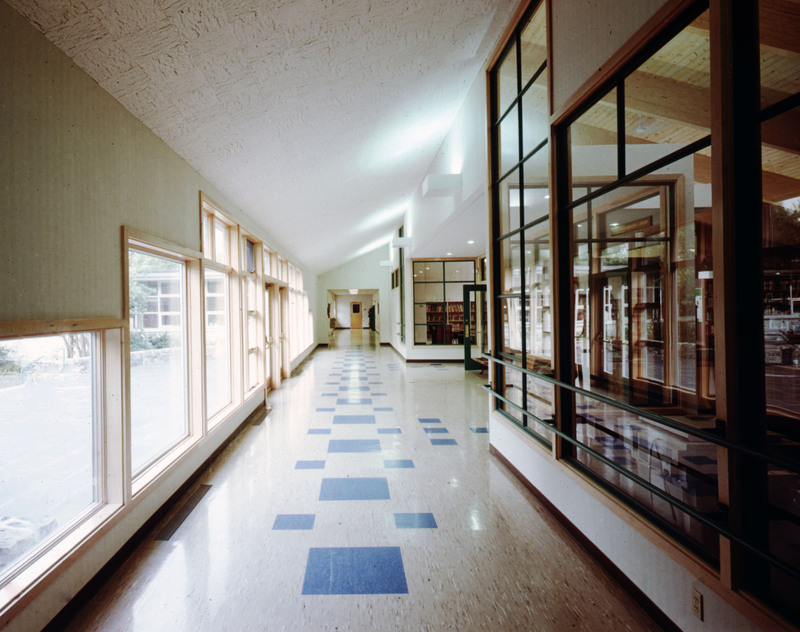 The connecting corridor from the two Schools uses fun colors, windows of varying heights, and a playful floor pattern to appeal to students of all ages. Upward lighting reflects into the space from the textured, angled ceiling to augment the natural light from the windows. The alcove entrance to the library is the central architectural emphasis where passing students are connected to the library even if they don’t enter it.